can anyone identify the bike from the picture attached? its the only pic I have. Nice photo. The bike is a Model K four-cylinder Henderson, made in the USA. The model ran from 1920 to 1927 with a number of changes, but it's hard to date it from the front-on view. Does this fit with your expectations? 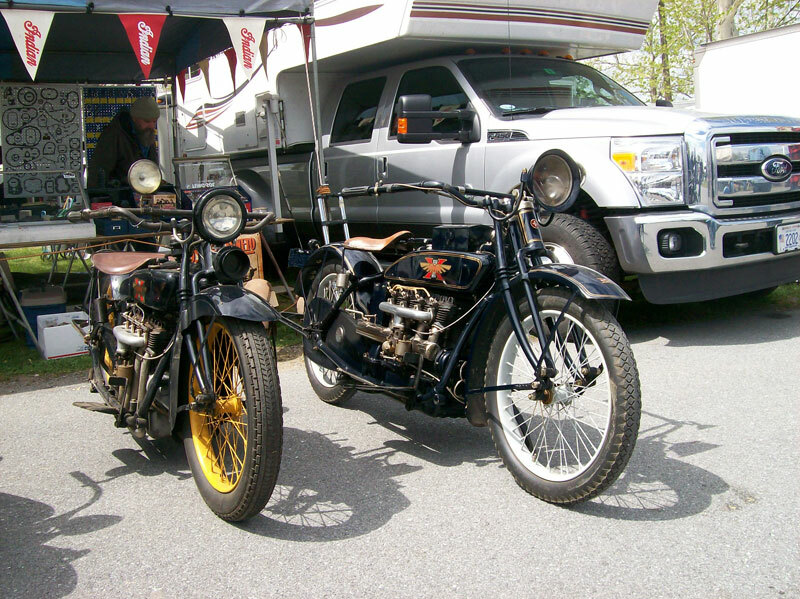 Indeed, its going to be something along these lines, but with sidecar attached. but have always wondered what he rode. Thanks for the info.